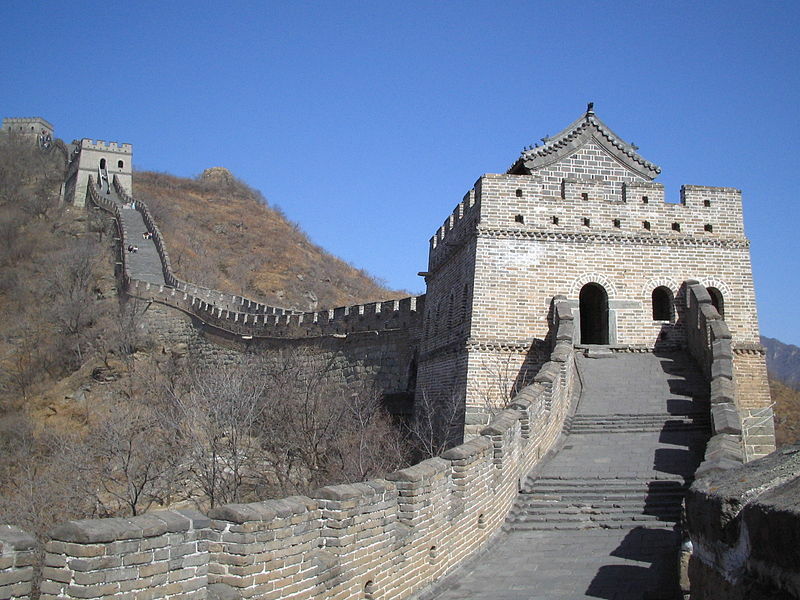 There are several access points to the wall close to Beijing. Basically the closer you are to Beijing, the more there are people and the more it is restored. Our recommendations are either Jiankou for the scenery or Simatai for the original appearance and scenery. This marker is located on the Jiankou section. 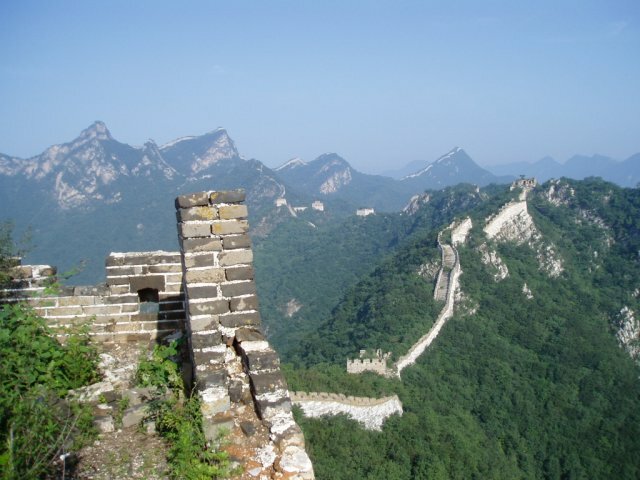 Badaling is the closest bit of wall to Beijing and bustles with visitors. It is the most well-preserved section of the Great Wall, built during the Ming Dynasty (1368-1644). It is located 70 kilometres (43 miles) north of Beijing. Jiankou section is located in the mountains and due to its unique style, steep mountains and beautiful scenery, it has become a photographic hotspot and also a hot travel destination these days. At Jiankou the white-hued rock of the wall clearly etches its serpentine trail, making this one of the most dramatic of all the Beijing sections, but the climb up to the wall is steep. Mutianyu is close to Jiankou and you can hike between the two sections (4-5hr hike), although as the wall is in fairly poor state it’s best to join one of Great Wall Hiking’s regular treks. Simatai and Jinshanling are about 113km northeast of Beijing and they are the best preserved sections of the Ming dynasty wall, having many original features. 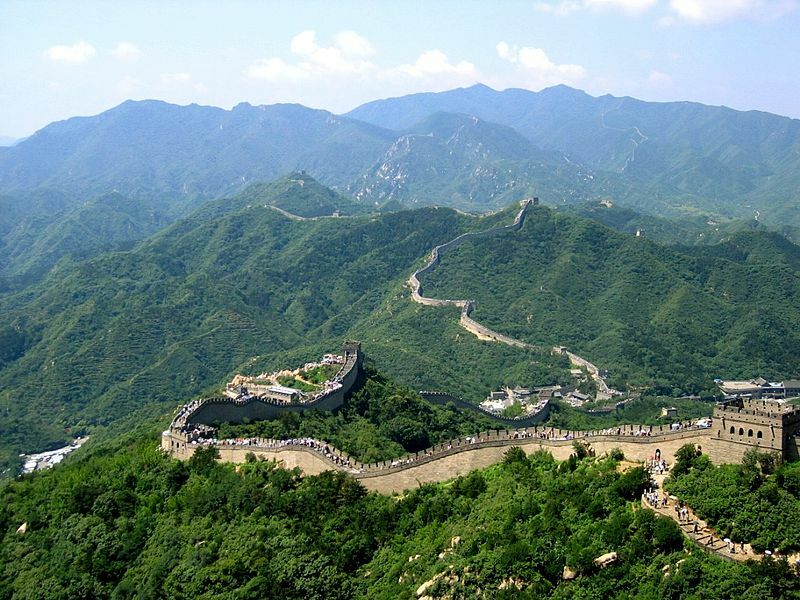 Simatai Great Wall is the only part that still has the original appearance of the Ming Dynasty. The wall is celebrated for its steepness, queerness and intactness. In these places you’ll feel as if you’ve stumbled onto a lost tract of history. The distance between the two sections is about 9km and can be hiked in about 4 hours. You can go your own way by taking bus no. 916 from Dongzhimen to Huairou and then a minibus to to Arrow Nock. About ¥40. Since June 17. 2010 Simatai has been closed due to major renovation. As of October 15, Simatai is still closed, but some hikers have reported successfully entering before 6 AM. A 'One day Travel Package' costs ¥120 in total for the round-trip bus ticket, admission fee, cable way, and the tourist car at the scenic spot. Tickets can be purchased at Dongzhimen bus terminus. Be wary of bus scams. There will be private://harmless lookingprivate:// middle-age woman/man who will approach you at the bus terminus pretending to be helpful and lie that the direct bus service is cancelled due to bad weather and then advise you to take a public bus to Miyun bus terminus which you'll then be force to take a private transport to Jinshanling. Take tourist bus #867 from Dongzhimen. Cost about ¥45, one way about 2hr. See prices above and check below links for further options.